NOTE: This article is if you're using the internal AmeriCommerce online stores mailing lists only. 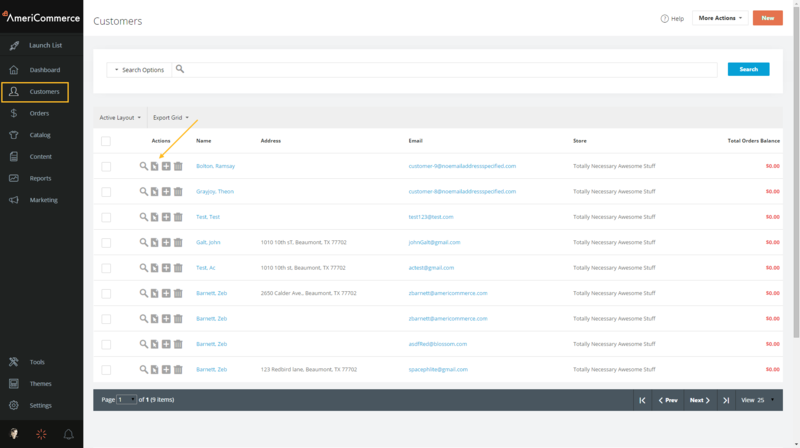 If you're using a 3rd party service such as Constant Contact, Exact Target, or Campaign Monitor, customer removal is done on their platforms. There are 3 ways in which customers can be removed from the internal mailing list of your store. Method 1: Allowing customers to remove themselves. This is achieved by creating a link to the opt-out page. By default, this page can be found at: YourStoreName.com/store/remove.aspx. You may put a link to this page anywhere you desire. For example: At the bottom of each email you send, or anywhere else on your site. In the following example, this link is placed in the left column, although you may place it wherever you wish. Open the active theme by browsing to Themes > yourthemename [Active] > Left Column. Either edit an existing Custom HTML widget or add a new one. When users click on the link they will come to the following page. Here they can enter their email address, and click the Remove button to unsubscribe from the mailing list. 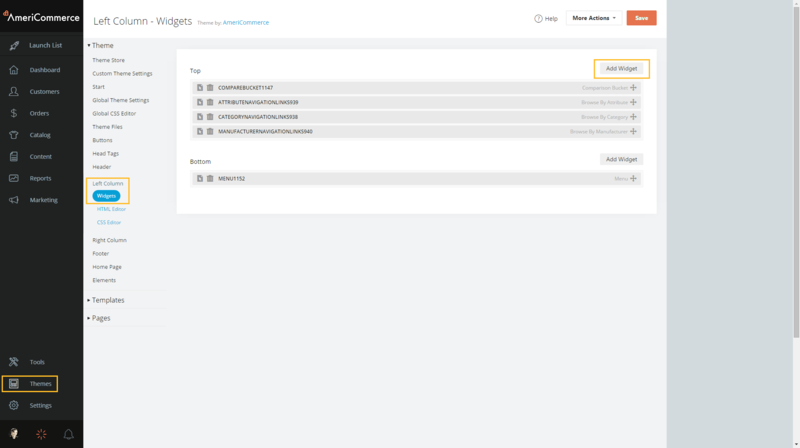 Removing customers in bulk using the Customer Import. 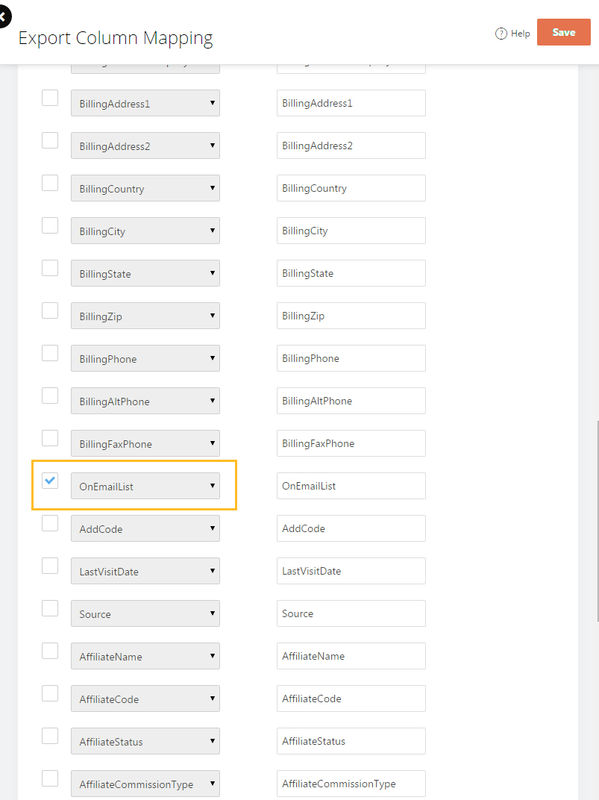 After selecting the columns, make sure you select the OnEmailList column. Click the SAVE button at the upper-right corner and then click the Export button. Open the exported CSV file in MS Excel or other software. You will note that the customers on the email list with have the value TRUE under the "OnEmailList" column. To remove customers from the mailing list simply change the TRUE to FALSE (Boolean values in spreadsheets must be written in ALL CAPS. "False" is not the same as "FALSE"). After making all changes save the file and import it. 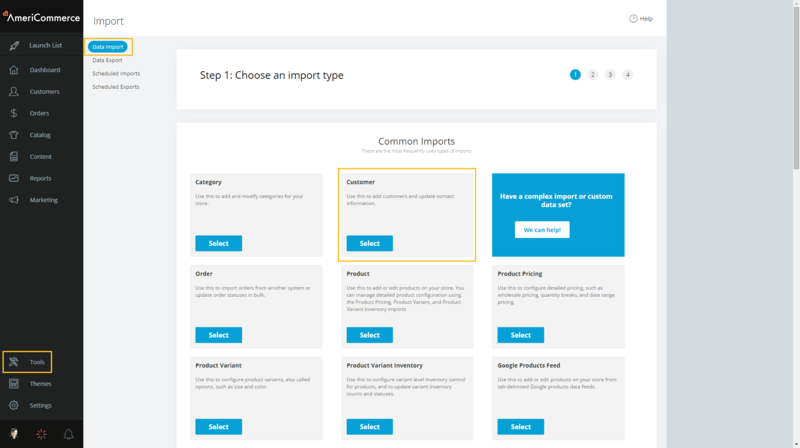 You can read about data import in more detail in this article and here. 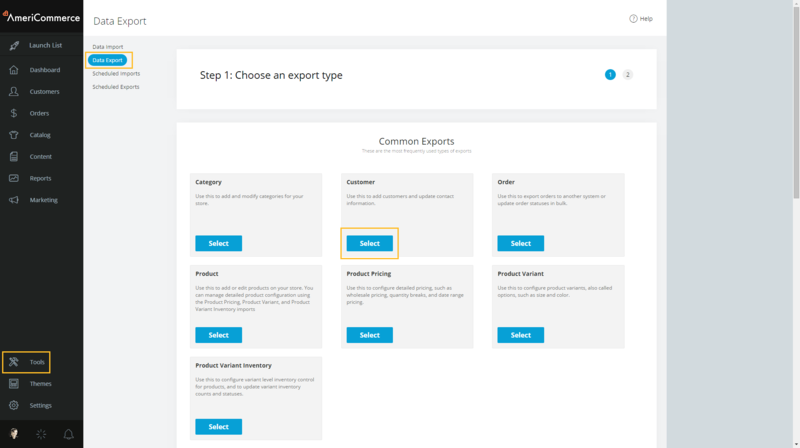 Note that though these articles focus on Product Import the steps to be followed are the same, only the contents change. 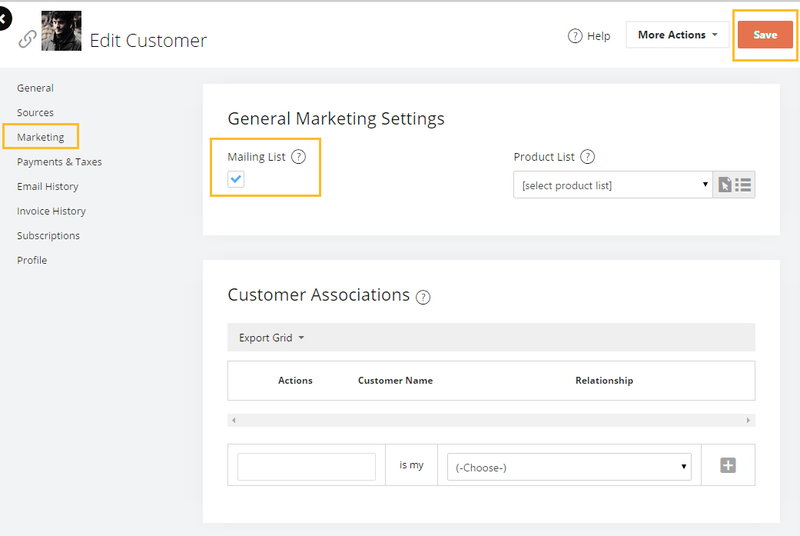 You can search for customers to locate them and click the Edit button by navigating to People > Customers. When you click the edit button, then the Marketing tab, you will get the following page. Uncheck the box against the option Mailing List and click the Save button at the top-right column.